Anyone have the part numbers for the warning triangle and bracket that came on pretty much all non-US cars? My car is a 2009 E63. I found some on Ebay.de but none of them have a bracket. A2118900814 for the bracket and A2118900397 for the Euro triangle. I also bought A0039948745 Washer and N000000000528 Screw in conjunction with DBs list to complete the factory install look. Probably not necessary but kept it OEM that way. Yes. If you remove the liner from the trunk lid you should see the indentations on the backside. It makes for an easy to follow cutting guide. If you have a W211 wagon, there's a small niche on the left panel in the cargo compartment where the MB warning triangle fits and is held tight by a Velcro closure. The part no. for that triangle is: 168-890-079. However, my local MB dealer here in the US said he could not order the part so I had a friend buy it for me in the UK and bring it over. Perhaps another US dealer would be able to order it. Any photos? Can these parts be used to attach the warning triangle to the trunk liner of a non-Mercedes or are they contoured in some ways to fit only a W211 sedan? Only (1) each Washer and Screw required? I got the same story from my dealer when asking about the warning triangle for my W210. Not available in US. 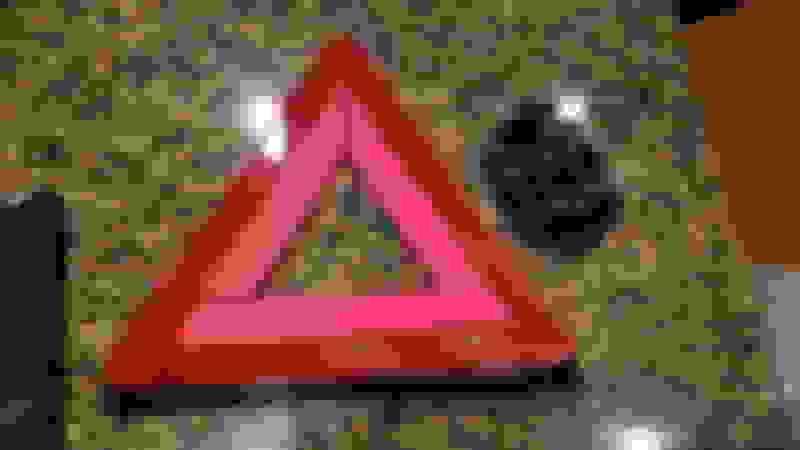 I just ordered a warning triangle from a guy on Ebay.de. Yes. Once you remove the trunklid liner you'll see why. The bracket fits the cutout in the liner. The liner actually slips into groves of the bracket. Therefore once you install it back on the lid you'll only need 1 screw to hold it in place. The outside of the liner, around the trunklid is held in place by the OEM fasteners. I would definitely recommend R & R of the liner instead of leaving it in place and attempting to cut it out. 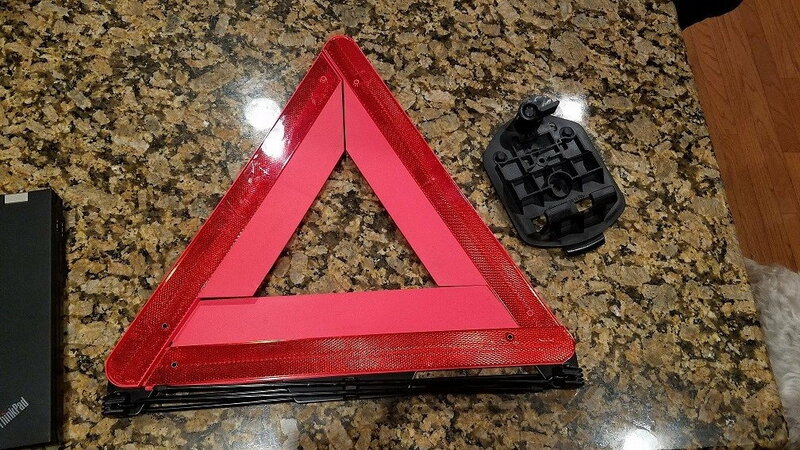 Can these parts be used to attach the warning triangle to the trunk liner of a non-Mercedes or are they contoured in some ways to fit only a W211 sedan? Can't answer that since all I did was an OEM install. You are welcome to try and report your findings for others who are interested. Looks like I am going to be picking up the triangle and bracket off ebay. A0039948745 Washer comes up as a mb splash guard fastener? I assume these are probably used through out different applications. Does this seem right to you? The screw comes up as nothing anywhere on MB sites. I found something on ebay. But wondering if this is correct? Found this for the bolt/screw? Is this correct? Last edited by NewShockerGuy; 02-09-2019 at 11:06 PM. Got my triangle and bracket. I cut the liner in the trunk. Now just waiting on a couple bits for the mounting of it and we'll be good to go. I hope to get them next week. I'm surprised at how heavy this triangle is. I thought it would be light and flimsy and it's got some heft to it.